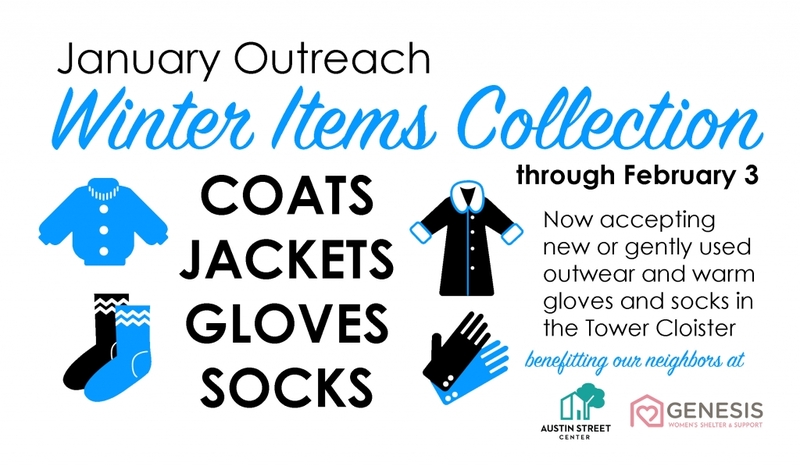 Transfiguration is collecting new socks and gloves for men, women, and children as well as new and gently-worn coats and jackets in all sizes. These items will be donated to our friends at Austin Street Center and Genesis Women’s Shelter. Please bring your donations to the baskets in the Tower Cloister now through Sunday, February 3, and help to keep our neighbors warm all winter. Thanks in advance for your support! Transfiguration has a long-standing partnership with North Dallas Shared Ministries that has focused on donations of clothing, food, and monetary resources. Now, they are badly in need of volunteers. Our group of regulars has shrunk to only three people. If you are seeking a deeply rewarding volunteer experience and can spare a half-day once or twice a month (or more!) please contact Dorothy Baker at dorothy.baker.1@att.net or 972-241-4554. They are especially in need of people with IT expertise. Our community partner, Austin Street Center, is in need of the following items. A quick and easy way to give is through their Amazon Wishlist; when you purchase through it, you can have your gift sent directly to the shelter. Visit their Amazon Wishlist here to send items directly to the Center. 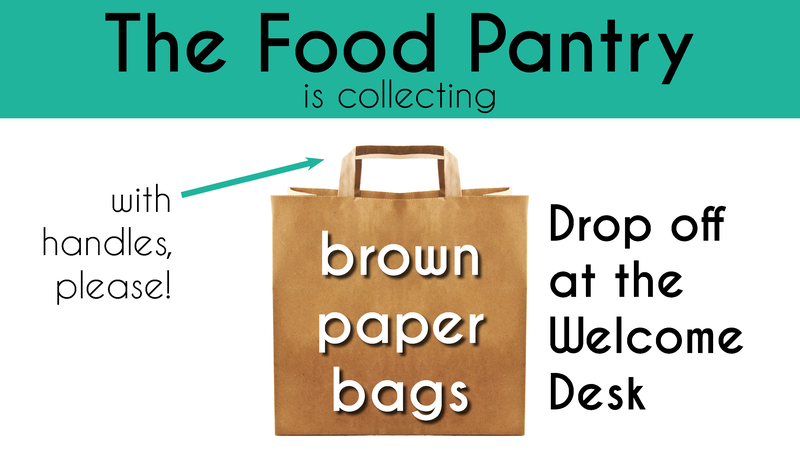 The Food Pantry is collecting brown paper bags for their food distribution ministry. You can drop them off at the Welcome Desk for the next several weeks. We prefer bags with handles. Thanks for your help! 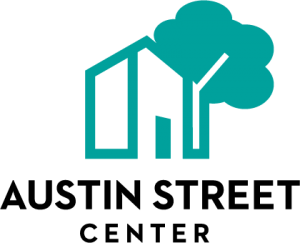 Transfiguration’s food pantry was founded in 2015 and is a Community Distribution Partner (CDP) of Crossroads Community Services and serves food-insecure families in north Dallas. As a CDP, Transfiguration buys food at a cost of 12 cents per pound and gives it to the hungry at no cost. Member families receive a week’s worth of groceries each month. We currently serve 18 families on the third Monday of each month, and can accept applications for more. To learn more or get registered, contact Judy Drotman at judydrotman@gmail.com. Despensa de alimentos de la transfiguración fue fundada en 2015 y es un socio de distribución comunitaria (CDP) de Crossroads Community Services (enlace a www.ccsdallas.org) y sirve a las familias con inseguridad alimentaria en el norte de Dallas. Como CDP, transfiguración compra alimentos a un costo de 12 centavos de dólar por libra y se lo da a los hambrientos, sin costo alguno. familias miembros reciben valor de una semana de comestibles cada mes. Actualmente atendemos a 16 familias en el tercer lunes de cada mes, y podemos aceptar aplicaciones por más. Para obtener más información o ser registrado, póngase en contacto con Ellen Dingwall, Ministro de Vida Congregacional y Alcance, en edingwall@transfiguration.net. Since 1983, Austin Street Center has provided a free, safe overnight shelter for 350 – 400 homeless men and women each day. The Center provides food, clothing, medicines, education and pastoral care for residents. Transfiguration parishioners prepare and serve an evening meal for all residents once each month and provide and serve a complete Thanksgiving Dinner for residents each Thanksgiving Eve. The Parish also supports requests from the Center for special needs, such as clothing, food and personal care items throughout the year. Genesis Women’s Shelter exists to provide safety, shelter and support for women who have experienced domestic violence, and to raise awareness regarding its cause, prevalence and impact. Their hotline to help find a safe way out of an abusive situation is available 24/7 by calling 214-946-HELP (4357). Gateway of Grace helps refugees start over in Dallas/Fort Worth Area. Many of the refugees are survivors of severe trauma. They offer opportunities to directly support refugee families as they are resettled in the metroplex. Founded with the mission of creating a spiritual home for the homeless, The Gathering is a church whose purpose and reality is a ministry to, with and for the homeless community that is always amongst us but seldom seen by us, The Gathering provides weekly lunches, personal hygiene items and financial assistance to its participants. A faith based international organization that builds houses with no interest mortgages for low-income families. Volunteers do most of the construction of the home. In 2012, Transfiguration and Parish Episcopal School teamed up with Habitat for Humanity to build a home in Plano for a single mother and her 5-year-old daughter. We are working to coordinate a few build days during Advent. An inter-denominational food bank providing the needy temporary help with food, some cash, and ESL classes. Transfiguration collects food throughout the year and a number of parishioners volunteer monthly. The school is part of Richardson Independent School District. It is in our church neighborhood but serves many disadvantaged students. Parishioners volunteer in a variety of ways at the school. Children from the church participate in collection projects for students and, occasionally, we fund special requests. This entity, located in South Dallas at 1600 Pennsylvania Avenue, exists to enhance the lives of children and families regardless of economic background, but with an emphasis on low and moderate income families, through educational excellence, Christian principles, and compatible community services. Transfiguration provides financial support and volunteers for activities such as the annual Mother’s Day Store. Provides year round quality out -of -school time programs for youth ages 4 – 18 in West Dallas, through ASPIRE after school programs, Bible Clubs, Summer Day Camp and their Out of Boundz youth ministries. Voice of Hope also has Family and Community outreach services that provide families with food, a listening ear, encouragement and various assistance. The mission of this organization is “to provide a safe space for LGBTQ youth and their allied friends to strengthen opportunities for life skills, leadership development, peer support and educational advancement.” Funds from Maundy Thursday Soup Supper are donated to the group. The North Dallas Chapter of the Episcopal Peace Fellowship meets at Transfiguration once a month. The EPF’s national mission is to pray, to study/educate and act on behalf of peace and justice. During this year the local EFP is focused on working together to end capital punishment in Texas. For more information, contact Ron Damholt (link to rdamholt@att.net), or look for an upcoming meeting here. Episcopal Relief & Development works with Church partners and other local organizations to save lives and transform communities worldwide. They rebuild after disasters and empower people to create lasting solutions that fight poverty, hunger and disease. Working in close to 40 countries, their programs impact the lives of approximately 3 million people around the world. Transfiguration supports them through our Advent Gift Market, through disaster relief fundraising, and with other opportunities throughout the year. The school is Transfiguration’s international outreach program in the northeast region of South Africa. The school serves 112 pre-school children ages 3 to 6 most of whom have been orphaned by AIDS. It is supported by donations from parishioners, students and staff of PES and the Africa Foundation. A pilgrimage to South Africa in 2017 will include a visit to the Happy Homes School. Interested in learning more? Contact Fr. Casey Shobe at cshobe@transfiguration.net.